Natural stones, Gold, Silver and Animals. Make a bold statement with Augmios. 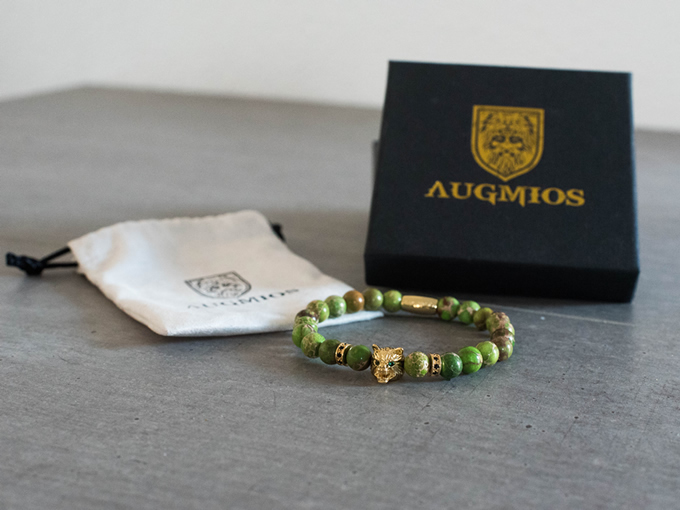 Augmios bracelets are a new kind of luxury jewelries for proud and classy men. Made with the best materials: natural stones, 18k gold plating, 925 silver plating and tripled Japanese wires, they won't break and will give you the additional touch of fashion you needed to perfect your style.